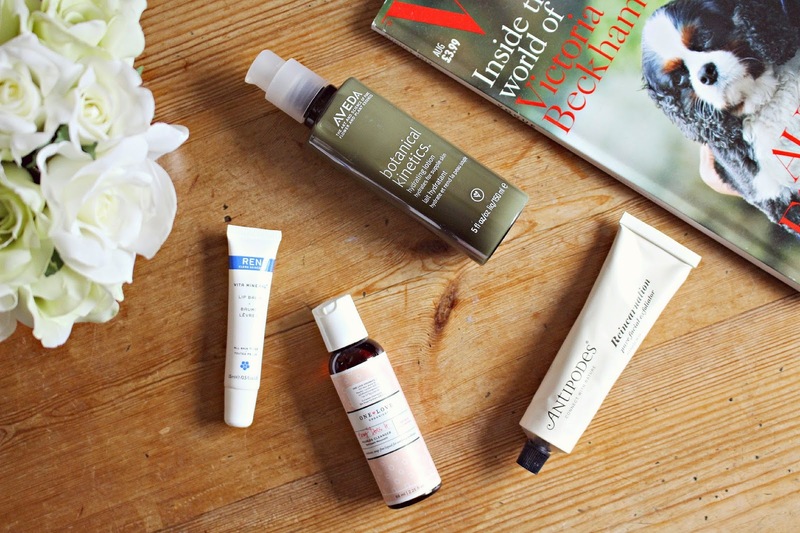 This week is Organic Beauty Week, so i’ve chosen a few of my favourite products for beauty boosting, without costing the earth. These natural and organic products are better for not just the planet, but your skin too as they are made from natural oils, minerals and nutrient-rich plants. You won’t find any harmful synthetic chemicals and toxins which can damage your skin and the environment. These products are not tested on animals either so they are also cruelty free. The first stage of my natural beauty regime is the One Love Organics Easy Does It foaming cleanser. I’ve only ever used this product on my face, but it is a 3-in-1 and can also be used for body and hair – so for those of you who love a tidy shower area, this is a multitasking product for you! With this product, a little goes a long way, and the organic formal works to clear out pores and help our skin’s natural defenses. Even friends which hugely sensitive skin have tried and LOVED this product – so if you suffer from irritation of any kind, then this organic cleanser is one to try. For a bit more of a thorough facial cleanse, i’ll reach for the Antipodes Reincarnation Pure Facial Exfoliator. It is a very gentle product which can be used everyday but still works to lift away dead skin cells and leaves my complexion looking clear and revitalised. Ingredients include 100% pure avocado oil, marigold flower, tonka bean and sandalwood, as well as healing calendula oil which nurtures and repairs skin. I love the creamy formula, containing tiny micro jojoba beads which you can feel working their magic on your skin without being scratchy or uncomfortable. Thanks to the essential oils, my skin is left feeling nourished rather than dry following the exfoliation. My next natural favourite is the Aveda Botanical Kinetics Hydrating Lotion, which contains naturally derived ingredients from coconut, jojoba and other ingredients which replenish moisture in the skin. The pump gives a conservative amount and I use 3 pumps from my whole face, but it’s still a small amount. It has a thin consistency and sinks in and dries instantly – it is impressive how such a thin feeling lotion gives such hydration to my skin. It gives a refreshing cooling effect when first applied and my skin feels refreshed but not greasy at all throughout the day. Finally, because I’m going through a bit of a love-affair with this brand at the moment, the REN Vita Mineral Lip Balm. REN is proud to tell us how their products are free from harmful chemicals, made from 100% plant and mineral derived extracts. I keep the lip balm on my desk at work, and always notice when I’ve been using it frequently – as dry skin is banished and my lips feel nourished. This will definitely be a saviour over winter as it also helps to protect lips from chapping, while also giving a subtle sheen. What are your favourite Organic / Natural beauty products?